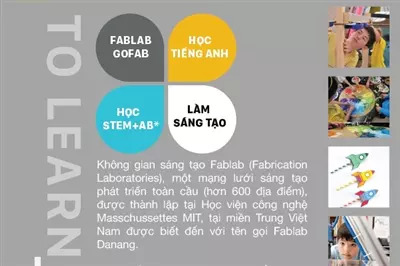 For the first time, Fisher's SuperKids teamed up with Fablab Danang (www.GOF.world) to host a series of Gofab classes (STEM + AB * and digital practice with samples and products) at the centers. 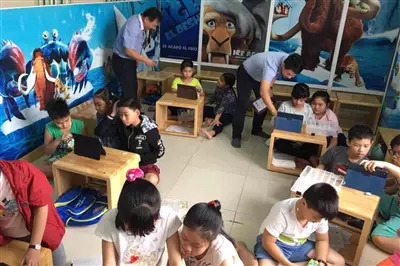 This program is for students between the ages of 5-18. 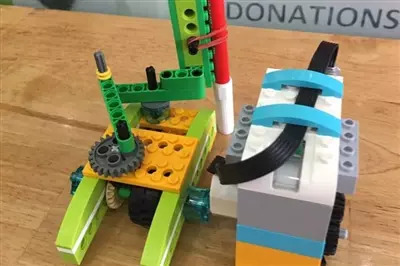 It includes a variety of courses like ‘Creative with 3D printing technology’ and working with music. 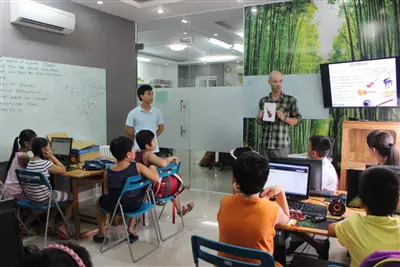 The learning experience is very enjoyable through the electronic application we use. 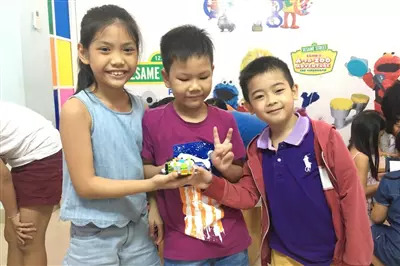 Superkids also collaborated with Education Builder for the STEM-Robotics program. 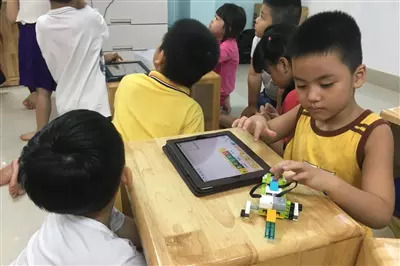 STEM-Robotics is a cutting-edge educational method that removes long-standing barriers which separates essential and life-critical disciplines such as Science, Technology, Engineering and Mathematics by integrating them together into a unified, highly practical unit that creates a learning environment through the student experience. 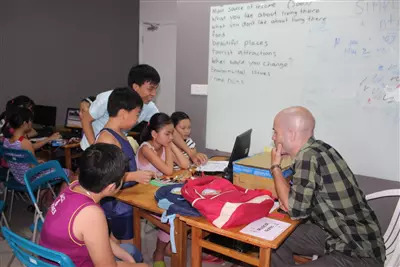 This method helps students gain a deeper understanding of subject knowledge, the link between theory and practice, and the relevance of the subjects. 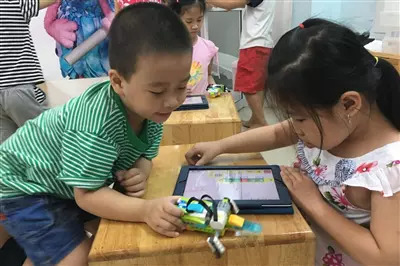 In addition, the course enables students to develop soft skills such as teamwork skills, leadership skills, presentation skills, and facilitating students to maximize their creativity and passion for robotics. 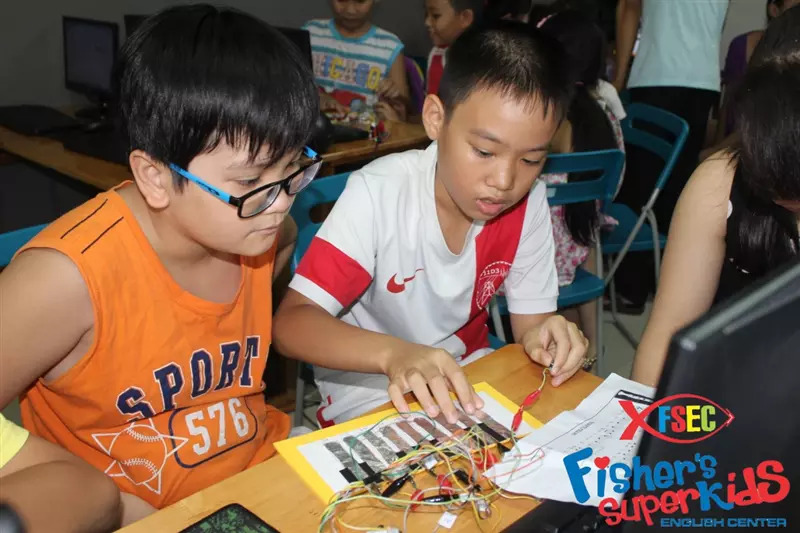 In order to give students a better understanding of STEM-Robotics, Fisher's SuperKids Children's Language Center cooperates with the EB-Danai Educational Services Center, STEM Development Unit and the STEM-Robotics to give the best learning experience for students at the Center as an extracurricular activity.